The pressure of work forced the Guild to expand and in 1895 it became a limited company. 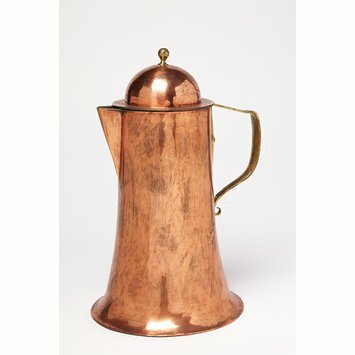 Arthur Dixon (1856-1929), the metalworker, was the chief designer for the Guild and design this copper and brass covered jug. In 1910, the Guild merged with the metalworking firm of E. & R. Gittins, who made fine jewellery as well as the architectural metalwork in which the Guild specialised.